As a region with deep cultural, spiritual and historical significance, there is much more to Tongariro than its incredible landscape. The stories date back centuries, so let’s look at the history of Tongariro and why it’s so precious to the people of New Zealand. The diverse area is enriched with stories from the region’s tribe Ngati Tuwharetoa and their sub-tribe and guardian hapu, Ngati Hikairo ki Tongariro. The tribes are known as the region’s hau kainga, or ‘true people of the homeland’. 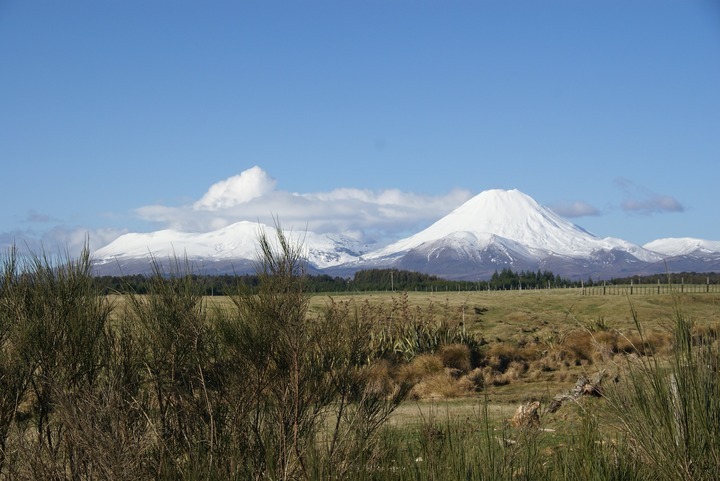 To the Ngati Tuwharetoa, the region’s three mountain peaks, Tongariro, Ngauruhoe and Ruapehu, symbolise the spiritual connection between the community and environment. 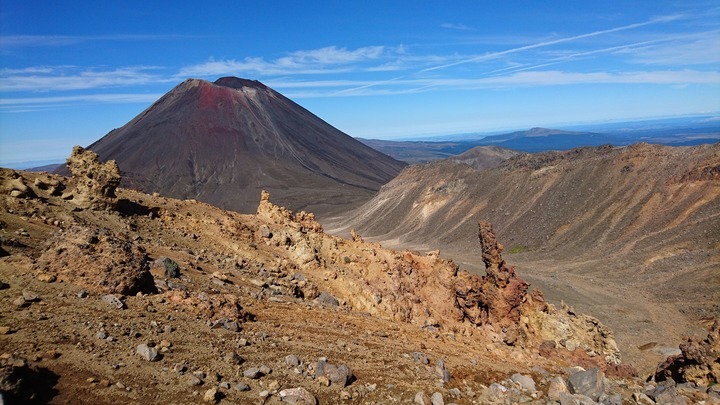 The history of Tongariro has many different perspectives, both in legend and historical record. But as the first National Park in the world to be gifted by its indigenous people, Tongariro National Park reflects the coming together of two cultures to preserve a sacred region. If there’s one thing that sets New Zealand apart from the rest of the world, it’s the beauty of the Maori legend. Our mountains, islands and surrounding seas all come with treasured stories that have been passed down through the centuries. These stories have huge significance in New Zealand culture and are part of who we are and where we came from. We couldn’t discuss the history of Tongariro without acknowledging Maori legend and there are many stories that describe how the mountains in the area came to be. Tongariro is traditionally known as the belly of the great fish of Maui which, in time, became known as New Zealand’s North Island. According to the people of Ngati Tuwharetoa, archpriest of the Arawa canoe, Ngatoroirangi, visited Taupo in order to lay claim to the region. However, when he reached Rangipo, a desert area east of mountains Ngauruhoe, Tongariro and Ruapehu, he met Hapekituarangi who was attempting to do the same thing. The two soon became rivals, so Ngatoroirangi decided to climb Mount Tongariro and lay claim to all he could see from the summit. Underestimating the strong south wind, Ngatoroirangi became weakened by the cold and strenuous climb. When he arrived at the summit he was almost chilled to death and called on his ancestral spirits to send fire to warm him. His calls were answered. The gods took fire from Whakaari (White Island), Moutohora (Whale Island), Okakaru, Tarawera, Paeroa, Orakeikorako and Taupo and sent it to Tongariro. The heat traveled underground and reached Tongariro’s summit, creating a volcanic crater and spouting warmth to revive Ngatoroirangi. The name Tongariro is said to describe the south wind that almost killed Ngatoroirangi. In 1887, the Ngati Tuwharetoa people showed a great deal of generosity and foresight when they declared the Tongariro area as sacred, thus protecting the region’s future. They partnered with the crown to enact a tuku (act of customary lore) to preserve the natural beauty of the three mountain peaks, Ngaruhoe, Tongiriro and Ruapehu. This act by the Ngati Tuwharetoa made Tongariro, the first National Park in the world to be gifted by its indigenous people. The Tongariro National Park was officially established in 1894, the first National Park in New Zealand and the fourth in the world. Since this time, the area protected by its National Park status has grown from 2,640 hectares to 25,000 hectares. 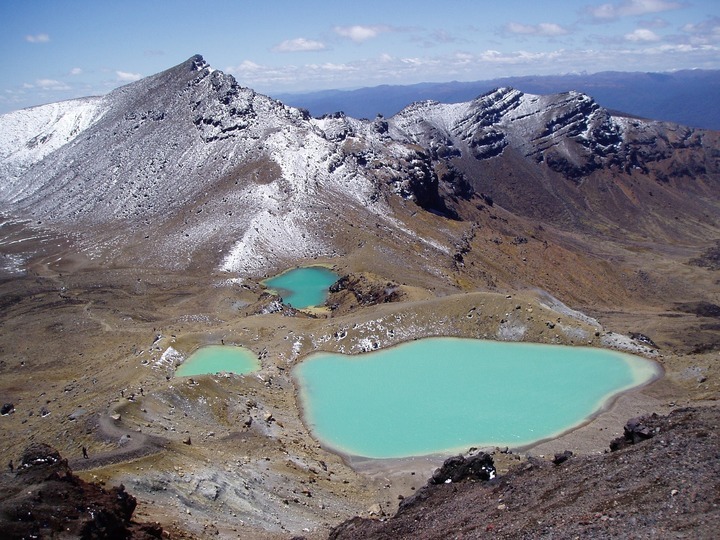 In 1993, the Tongariro National Park was listed as a UNESCO World Heritage site. It was the first National Park in the world to be listed under the revised criteria describing cultural landscapes. It was also the first to be listed under a Dual World Heritage classification for both its cultural associations and stunning volcanic landscape. Understanding the history of Tongariro National Park is a huge part of why the region is so close to our hearts. As a relatively young country, we are lucky to have so many recorded stories of how our landscapes came to be. Be it factual or mythical, they make up an important part of our culture and history. There are so many different aspects regarding the history of Tongariro National Park. When we look out onto the three mountain peaks we see an area abundant with historical, cultural and spiritual significance. And keeping the history of Tongariro alive ensures that these values will be continuously respected and protected by anyone who visits the area. It’s no secret that the Tongariro National Park is extremely close to our hearts here at The Park Hotel. We could never get sick of seeing the mountains through the window every morning. We think there’s nowhere on earth more beautiful. When visiting the Tongariro National Park you instantly feel connected with the area through its breathtaking beauty. And with the winter season quickly approaching, the snow-capped peaks will enhance the area even more. Book your stay with The Park Hotel this winter and take a moment to understand history of Tongariro National Park.